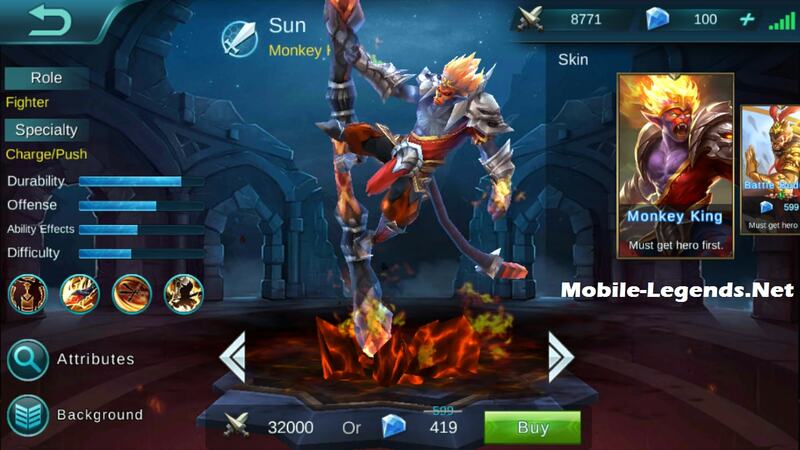 Monkey King, Sun. 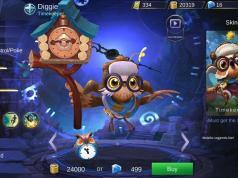 He is a good fighter and new hero in Mobile Legends. 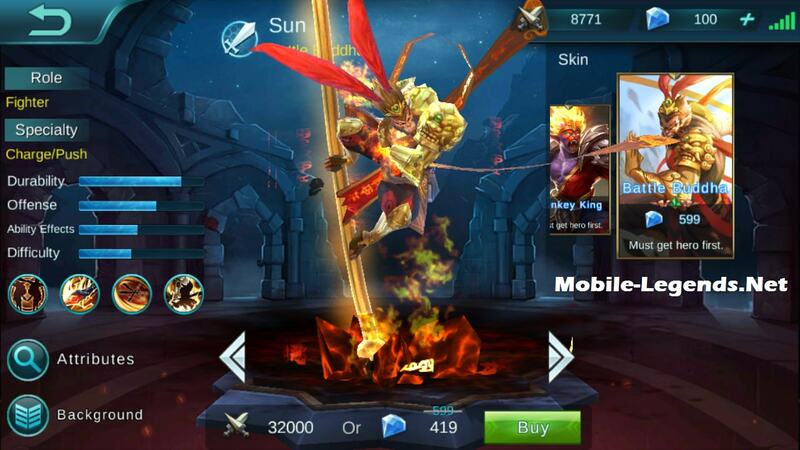 Sun is 32k battle points and 599 diamonds. He has very good skills for the team fight. Passive: Summons Monkey, Summons a doppelganger after 5 basic attack(s), then every 5 basic attack(s) will upgrade the level of the doppelganger. Doppelganger’s stats will increase with the level and its basic attack will restore HP for Sun. The doppelganger cannot be chosen as a target but will be damaged by area-of-effect attacks. Skill 1: Golden Cudgel Strike, Wukong and his clone use the Golden Cudgel to smash forward, dealing 120 pts of physical damage, lowering hit enemies’ movement speed 40% for 2s. Skill 2: Instantaneous Move, Wukong and his clone launch Instantaneous Move, dealing 100 pts of pyhsical damage to all enemies along the way. Ulti: Clone Techniques, Summons two top-leveled clones, increasing clones’ physical attack by 10 HP by 500. 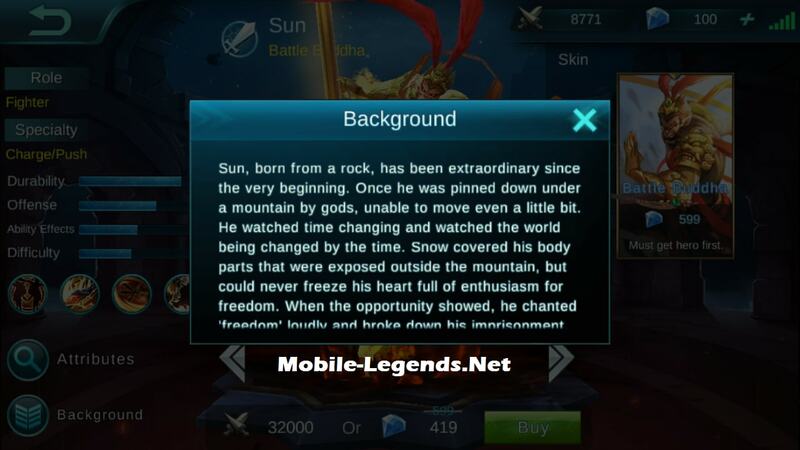 Sun, born from a rock, has been extraordinary since the very beginning. Once he was pinned down under a mountain by gods, unable to move even a little bit. He watched time changing and watched the world being changed by the time. Snow covered his body parts that were exposed outside the mountain, but could never freeze his heart full of enthusiasm for freedom. When the oppotunity showed, he chanted ‘freedom’ loudly and broke down his imprisonment. Then he laughed and flew away. Now, Sun has come to the Land of Dawn. In here, this stone-born monkey with a soul that cannot be tied down will start his own legend again. 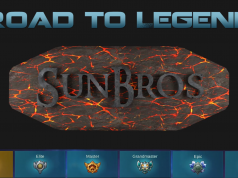 Why some players think that Sun is the worst hero? is there any chance of getting a karina guide/build etc. also I don’t understand why the elusiveness cancels out after 1 hit, the immune to melee attacks should still stay.